The Houston weather doesn’t make it easy on roofs. 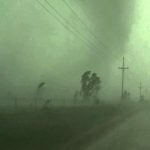 From heavy rains and flying debris to hail and hurricanes, our city brings in a variety of weather patterns that beat up on the roofs of every homeowner. 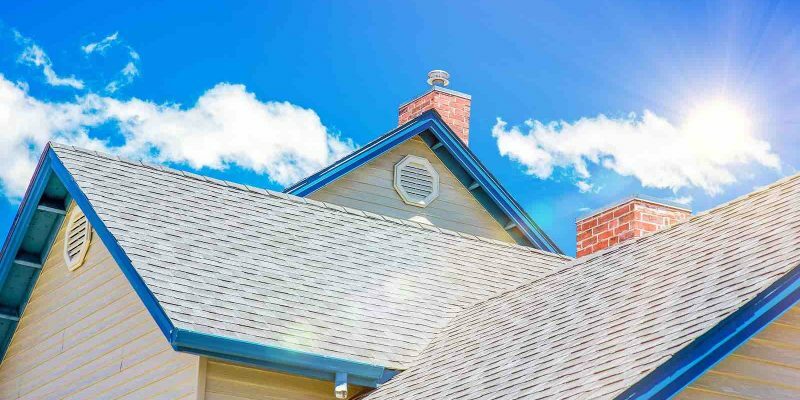 If your roof is nearing its 20-year mark or has undergone a lot of strenuous weather over the years, then you should consider having Amstill Roofing conduct a free roof inspection. Our roofing experts conduct free inspections for all of our clients and even non-clients. We do this because we want every homeowner in Houston and its surrounding areas, like Memorial, Katy, and Sugarland, to be protected and to know how safe their homes are. This means checking for areas in the roof that may be missing shingles or have soft spots. It also means checking to see if a complete roof replacement is necessary. If your roof is in need of work, then you should consider using your insurance to cover the cost. Depending on how serious the damage is, the cost can be expensive, although we always work with every client to make sure they are not overburdened. When using your insurance, you will definitely want to have one of our roofing professionals conduct the inspection with them. This will ensure that nothing is missed and that your insurance company covers everything that it is supposed to. 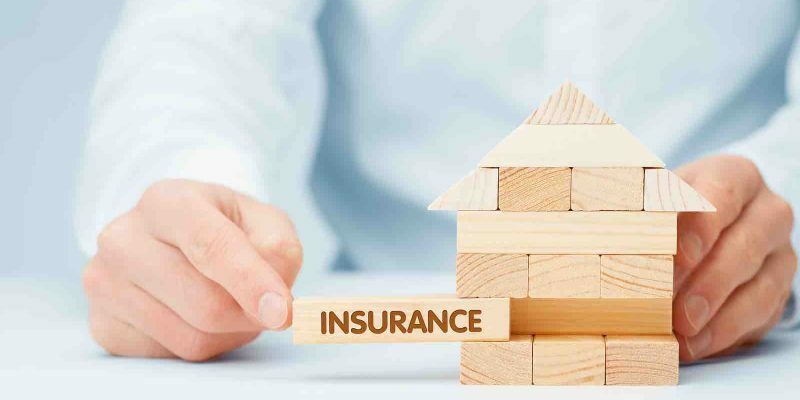 Amstill Roofing has been working with homeowners insurance for decades, so we have a good relationship with just about every insurance company Houstonians use. We will also cover any questions or concerns a homeowner may have on their coverage, regarding how much is covered, payment plans, and more. 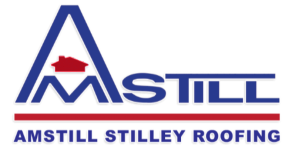 If your roof needs repairs or a replacement, then contact Amstill Roofing today and schedule one of our roofing technicians to conduct a thorough inspection of your roof. Most of our roofing projects, including roof replacements, are conducted in one day. We will make certain your roof receives the care it deserves. When it comes to the Greater Houston area, there is no place Amstill Roofing won’t go. We love our great big city and we think the residents are the best. It is this love for our city and our customers that drives us to provide the best roofing possible for every homeowner. For residents in Memorial, the Energy Corridor, and Katy, our professional roofing company is here to make certain your roofs are prepared for any weather and are ensuring your homes are protected. One of the best ways to protect your home is by providing protection to your energy system. If you have an old roof, then chances are your energy system (AC/heating system) is being overworked. An overworked energy system means higher electric bills and the increased chance that your system will become depleted and will need replacement sooner than it should have. A new roof can be a real energy saver, which saves you money in the short- and long-term. The reason why it can lower your energy levels is because roofing material is now more energy-friendly. We also utilize methods in our roofing that helps alleviate the possibility of your energy system being overworked. This is because a roof replacement conducted by Amstill Roofing ensures the roof works to deflect heat and the cold, which helps your home keep more of its air conditioning or heating inside. 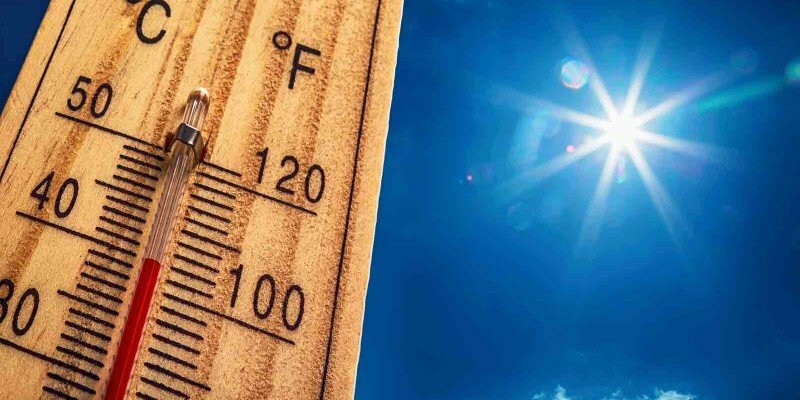 Residents in Memorial, the Energy Corridor, Katy, and all over the Greater Houston area, know that it gets really hot during the summer, even sometimes when the AC is on. 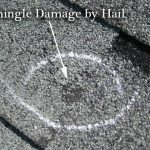 If you have cracks or breaks in your roofing structure, then these problems can be the reason why the AC is providing the relief it is designed to. Our roof repair systems can quickly address these problems in a short period of time. Once these issues are fixed, you should quickly see a difference in your energy usage. If you have high energy bills, then contact our Houston roofing company today. We will send one of our roof inspectors to your home, free of charge, so that they can conduct a roof inspection to see if your roof is the cause of your high energy bills. We look forward to ensuring your roof is protecting your home. For Katy, TX residents looking for great roofing, Amstill Roofing has you covered—literally. At Amstill Roofing, we have been serving the Greater Houston area since 1974. Being in business this long means we’ve been doing something right. That something is taking care of all of our customers. At our Houston roofing contractor company, we put our customers first before everything we do. Each and every roofing professional and staff member works hard to ensure that our customers are completely satisfied with their roof and their service. We hold ourselves to the highest standards when conducting roof inspections, roof repairs, or roof replacements. Part of holding ourselves to that standard is making certain that we always use the highest standard of materials, like Tamko Roofing Products. All of our work is CertainTeed, which is the highest level of work you can receive from a roofing company. ROOF REPLACEMENT: A roof replacement is always necessary if a roof is hitting its expiration date. 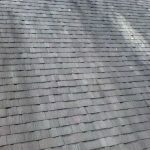 Typically this is around the 20-year mark; but that all depends on the type of shingles you purchase. Some shingles, like architectural shingles, can last up to 50 years. If you have purchased a new home, and still need the roof constructed, then there is no better roofing company to conduct the work. If you need a new roof because of old shingles or the structure is unstable, our roofing experts can quickly complete the project, typically within a day. ROOF REPAIR: Roof repairs are a necessity, if you’re a homeowner. As a homeowner, you know there is always something that goes wrong and needs to be fixed. Your roof is commonly one of those problems. If you have a roof leak or a different problem, then let one of our roofing professionals come check out the problem, advise you on the issue, and quickly fix it before it creates more problems. 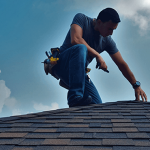 ROOF INSPECTION: This may seem like a simple and possibly unnecessary aspect of roofing, but receiving a thorough roof inspection can actually save you a lot of money. Our roof inspections catch issues, like leaks or cracks, as well as enable us to advise customers on how much longer they can expect their roof to last. The best part is that our roof inspections are free of charge. This is because we care about the longevity of your roof and the safety of your home. If you have any needs concerning your Katy roof, then contact our Houston roofing company. We look forward to providing you and your family with the very best service and products in the roofing industry. August is here and it will be as hot as it will get in the Houston area. Regardless of where you live, this is a time where your roof can take a pummeling from the heat. If your roof is old, then chances are the heat is cutting right through and giving your energy bill what for. 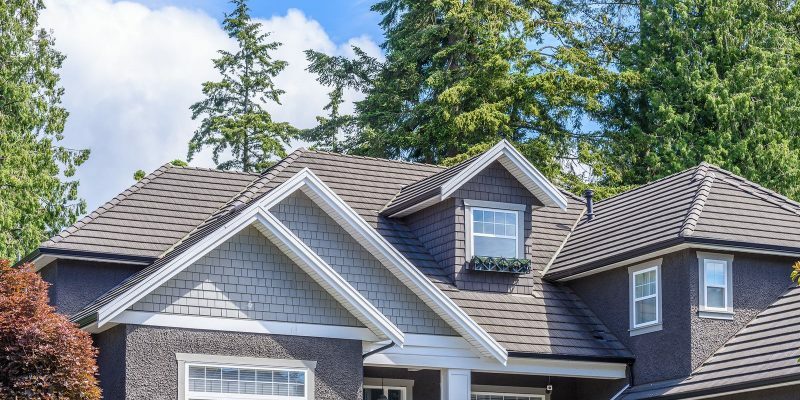 Getting a roof replacement is a necessary part of homeownership and it is typically necessary to have it done every 20 years. For some homeowners who have more expensive shingles, like laminate and architectural shingles, the roofing material can last up to 50 years. The best way to know whether your roof needs a roof replacement or not is by scheduling one of our roofing experts to come conduct a free and thorough roof inspection. Our experienced roofer will take the time necessary to gauge whether your roof is in good shape for the years and brutal Houston weather ahead. For residents in the Sugarland, Memorial and Katy areas, as well as all over the Greater Houston area, there seems to be no letup for rough weather. Houston experiences heavy rains, hurricanes, tornadoes, freezes, and droughts throughout any given year. It may keep us prepared for anything that takes place in our city, but it doesn’t help our roofs. When the intense heat of August subsides, there won’t be much let up, as the heavy rains from the hurricane season continue. Last year was arguably the worst weather Houstonians have ever seen, and possibly will ever see. Make certain that your roof is ready to withstand the heat and the rain. Replacing your roof is pivotal. Do you know already that your roof isn’t ready for the rest of the year? Then schedule one of our highly trained roofing professionals to come conduct a thorough inspection of your home’s roof. A roof replacement may be exactly what your home needs.